Jim Yong Kim, president of the World Bank, has announced that he will retire. This is far earlier than expected. Jim Kim was first appointed in 2011 and was re-elected in 2016 for a five-year term, due to end in 2022. It was widely assumed that Jim Kim would serve out his full term. Instead, he has abruptly declared that he will retire on 1 February and take up a job with a private investment infrastructure firm. What’s going on? The president of the World Bank is, in effect, the Pope of the official international development community. He is the ambassador-at-large of “The Bank”. As such, he (the president has always been a “he”) constantly travels the world, giving keynote speeches at major conferences, meeting heads of governments, and holding hundreds of meetings with ministers and officials to discuss development issues. The World Bank president aims both to shape and to reflect thinking about global development in official circles. In the past, World Bank presidents such as Robert McNamara and Jim Wolfensohn have left their mark on both the work of the Bank itself, and on global thinking about development. Current practice is that the World Bank president is, in effect, appointed by the President of the United States. Jim Kim was appointed by Barack Obama. It was widely assumed that he had Democratic sympathies. His resignation seems to be an unexpected gift to Donald Trump. Trump is suddenly in a position to appoint the next president of the World Bank. If he chooses, Trump now has the opportunity to push the Bank towards a more conservative global agenda. It is very surprising that Jim Kim would create this opportunity for Trump. A range of questions immediately arise. Did Jim Kim jump, or was he pushed? What happens now? How will a new World Bank president be selected? And what are the likely implications of a change in the Bank? Press reports are that friends of Jim Kim say that he has left of his own accord and that he was not pushed out by the Trump administration. But it is hard to know. 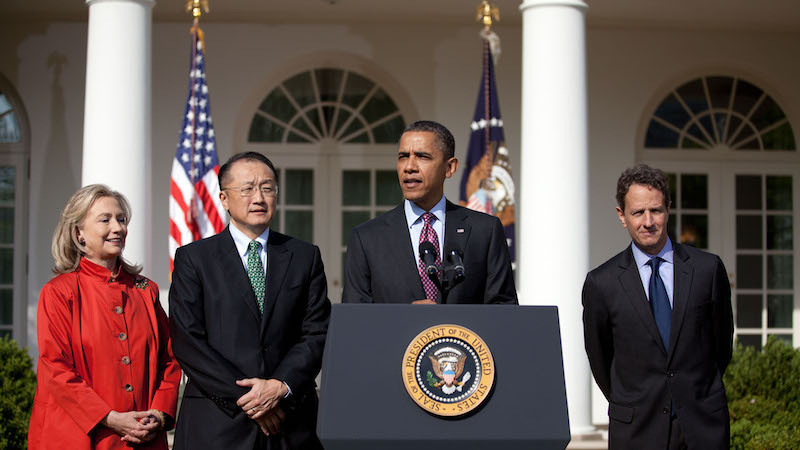 The World Bank president always maintains close links with senior figures in the US Treasury. The US Treasury is, after all, only a few hundred metres down the road from the Bank headquarters. It’s hard to imagine that Jim Kim was not hearing messages from the Trump administration. What about a new president? There will ­– immediately – be a row in Washington about Jim Kim’s replacement. On one hand, there will be a clamour for radical change. For decades, there have been voices in Washington and elsewhere in the world, who have argued that the traditional processes of selecting the heads of international agencies be changed. On the other hand, traditional processes are well-known and suit most of the major players. Trump may well have talked about “draining the swamp” but on this occasion he will probably find that the swamp suits him very well. The noisy voices from think tanks in Washington and elsewhere want the leaders of international agencies such as the World Bank to be selected “on merit”. This idea is easy to agree with, but it runs into major problems. First, there is no agreement on what “merit” is, exactly. And second, the reality is that current arrangements for the selection of heads of international agencies reflect a global balance that few governments wish to change. There are complications, notably around the growing global influence of China, but the status quo suits most governments. The chances are, therefore, that Trump will be able to go ahead and appoint the next president of the World Bank without much opposition. What can we expect? Recent experience with Trump’s appointments to international posts is hardly encouraging. He does not seem to think it important that the people he appoints have strong international experience. The first thing to expect is that the new president would aim to introduce a more conservative agenda across the Bank. It is hard to know exactly what this might mean but presumably the new president would want the World Bank to scale back programs to tackle climate change. On the positive side, a new president might give support to the World Bank’s traditional efforts to help expand infrastructure in developing countries. This would be a sensible change to introduce to the Bank’s work. But the major risk to the World Bank from a Trump-appointed presidency would be a loss of credibility. Across the world, the Bank is currently seen as a credible institution. If a new president, appointed by Donald Trump, were to try to introduce a strong conservative agenda into the work of the World Bank, the institution would soon lose credibility. Jim Kim’s sudden resignation is thus a shock to the multilateral system. Next move: Donald Trump. 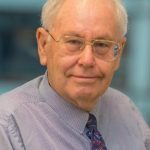 Peter McCawley is a Visiting Fellow in the Arndt-Corden Department of Economics, ANU, and formerly Dean of the Asian Development Bank Institute and Deputy Director General of AusAID. Michael Igoe from Devex puts a slightly more positive spin on the situation (from a non-Trump point of view) suggesting that the possibility of an opposing candidate winning creates significant pressure to put forward someone credible – citing that member countries rejected Trump’s pick for the International Organisation for Migration. Ngozi Okonjo-Iweala (also an American citizen now) a potential challenger (or nominee).